In Dimock, PA, Craig and Julie Sautner are among 14 families along Carter Road whose drinking water wells became contaminated with methane and other chemicals after gas drilling on their properties. Cabot Oil and Gas, the company held responsible by the Pennsylvania Department of Environmental Protection, has had at least 21 spills in Dimock township in less than two years. 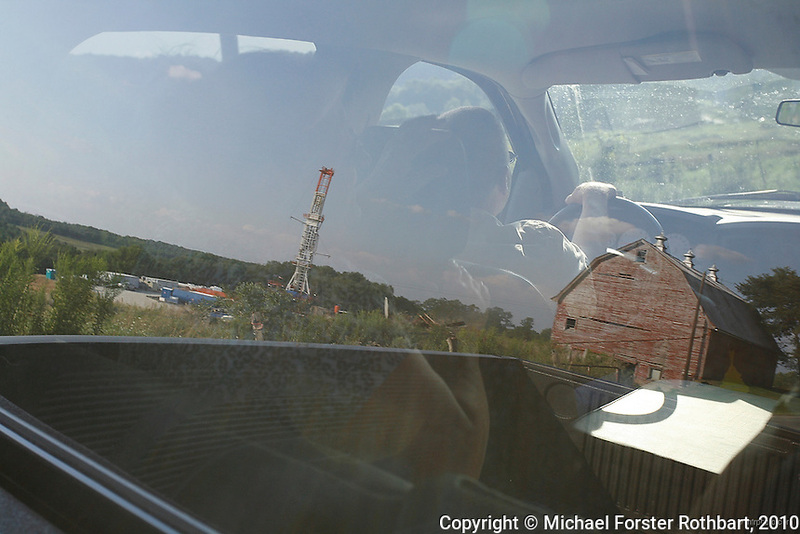 The Sautners drive by to see a new drilling rig on a neighbor's property, Bob Kerr of Hop Bottom, PA, and subsequently get in a heated argument with two members of the Kerr family.